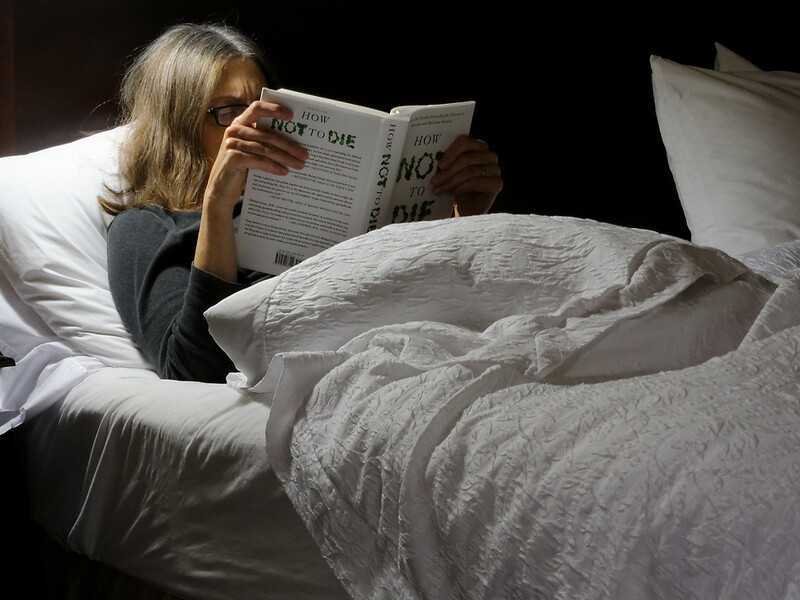 This is an unplanned shot of Lori, comfortably lounging in a bed, reading “How Not To Die”. I like it because of the dynamic light, the muted hues, but mostly because it’s so Lori-esque: even relaxing she’s ferociously focused. The topic of the book is how diet and nutrition affects our health and the title is a bit sensational given that current expert opinion is that we are biologically engineered to live 115 years at the most. I’m betting that Lori lives to at least 150 years if for no other reason than to be stubbornly contrary. Any winnings I make on that bet will, of course, be post mortem–I won’t have the patience to hang around that long.